Can anyone tell me how close a LT1 engine with the GM LT1 to LT4 conversion kit installed is to a LT4 engine from the plant? Is the only difference the top of the pistons maybe? I have an LT1 coupe and if I don't upgrade to a C5 or C6, I am considering the LT4 conversion kit after I pay my LT1 off. In order to answer that question, you need to post what's in the "LT1 to LT4 Conversion Kit". NOT an LT4 package... but a set of 1.6 roller rockers, exhaust, and a new tune will go a long way to stepping the performance on your LT1. On an LT1 Formula that I had back in the 90s, the engine responded very well to a JET stage II chip, 3 in exhaust, a Honker intake, and 1.6 rockers. You could get similar improvements out of a black wing air filter, better flowing exhaust, and a recalibrated ECM. Made a big difference on my car and not nearly as pricey as the full LT4 conversion. It is a kit from GMpartsdirect.com that is a upper intake kit including the cam. Besides the intake manifold and the camshaft, the LT4 has different cylinder heads, different intake valves, different rocker arms, different timing chain assy, different injectors, different throttle body and some other items. If the GM Parts Direct "kit" includes the camshaft and the intake then the resulting modified LT1 won't be anything close to what the production LT4 was. I used the GMPartDirect kit back in 2003 to convert my LT1. The kit included LT4 heads with the 1.6 rockers, the LT4 intake, the LT4 Hot Cam, and all the rest of the stuff to put the engine back together. It will not be an LT4 once converted. I included the LT4 OptiSpark in my conversion since I was converting a 92 LT1. The LT4 has different pistons and other components that you don't touch with the basic conversion. Depending on the LT1 year, the injectors are different flow rates. A converted LT1 will run very similar to an LT4 with the Hot Cam afterward but it will still not be an LT4. 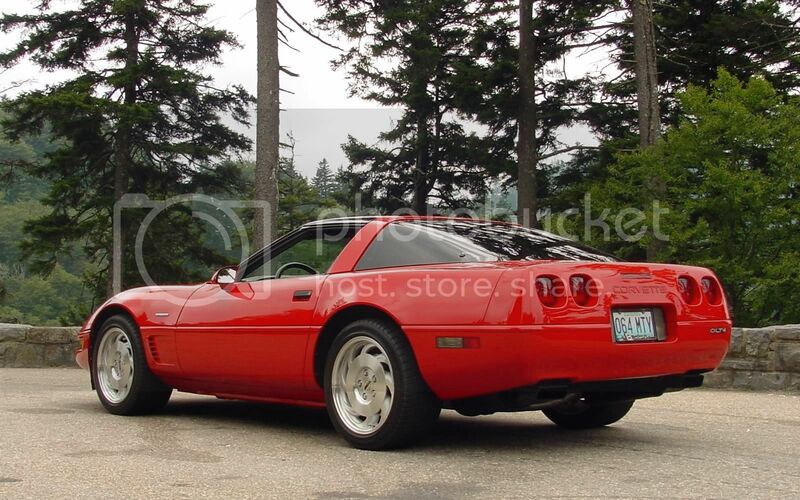 My LT1 is a 96, will it be close enough in power difference to be worth the money to have the kit installed? No. It is not worth the money. You could go with headers, port work to the LT1 heads (or new Lloyds), ECM tune, 1.6 RR, and an LT4 hot cam. You'd most likely do better. Once you've decided to modify the car- you may as well go big. You'll never be able to sell it as a true LT4. Let me know if you want a recommendation on who to do porting in Louisville. Drew at Street & Strip could help you out with this kinda work. ...here's a shot of one I use to own, they are sweet rides! A stock LT1 should rear wheel dyno around 250-260 HP. After the LT4 conversion and Hot Cam, 330-350 at the rear wheels would be reasonable with a good exhaust included. My '92 dyno'ed at 328 with the '92 24# injectors and 48mm TB through Corsa cat back exhaust. It would have done better with 28-30# injectors and a 52mm TB. So, a gain of 80-100 HP is possible and the 'cool factor' of showing off the 'red' LT4 intake when you raise the hood can make it worth it. Converted LT1s run like, well, LT4s once the ecu is tuned for the new combo. The minor difference in compression between the LT1 and LT4 won't matter all that much. Just stabbing in a hot cam and putting rockers on a LT1 is a nice budget approach, but won't get you what you want unless you port the heads or go with LT4 heads and required LT4 intake. The LT1 heads aren't as good as LT4 heads. If you've got the coin, AFR's "LT4" 195 and 210 heads are awesome and blow away the LT4 heads, but that's getting off topic. As for the hot cam, it really works well with the factory LT4 heads and will easily give you 400+ hp at the crank while keeping the idle and driving characteristics near factory. LT4 conversion just as good?